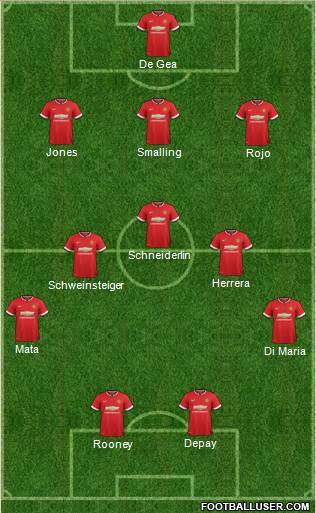 Five different ways Man United can line up this season. A formation United used a lot last season, with mixed results, the club’s new signings could fit in well together in a 3-5-2, with Memphis Depay and Wayne Rooney partnering each other up front, though this doesn’t currently leave much depth in the striker department unless more signings are brought in. Get Manchester United goal videos with our FREE Sports video app!